Paris, France, -- CIRCOR Aerospace Products, a CIRCOR International company (NYSE:CIR), is announcing the retirement of Bodet Aero founder Jacques Bodet. Bodet Aero and ATLAS Productions were acquired by CIRCOR International in 2009 to expand existing electro-mechanical control capabilities. Jacques remained onboard to lead Bodet Aero and ATLAS Productions (its Morocco affiliate) through integration as a part of the CIRCOR Aerospace France team over the past two years. CIRCOR Aerospace recently appointed Gilles Genété as the General Manager for the CIRCOR Aerospace France Group of businesses, including Industria S.A.S. of Paris, Bodet Aero of Chemille and A D N of Pau plus ATLAS Productions in Tangier, Morocco. 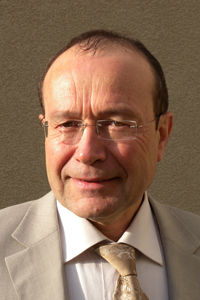 Bodet assisted with Genété’s transition and shaping priorities for the team. Jacques Bodet grew Bodet Aero over a period of 20 years, and built a strong reputation in the design and manufacture of specialized aircraft controls system components including aircraft landing gear wheel speed tachometers, flight control pedal transmitters, speed reducers and integrated fluidic and electro-mechanical controls components. ATLAS Productions was formed in 2005 in the Tangier, Morocco free trade zone and specializes in low cost manufacturing of aerospace components. Bodet Aero and ATLAS products are found on a full range of aerospace platforms, including the Airbus family of commercial aircraft, defense applications and business aviation platforms including the Dassault Falcon 7X. “We wish continued success for Jacques Bodet in his personal and professional life, and look to him to continue in an advisory role in the CIRCOR Aerospace story,” commented Christopher Celtruda, CIRCOR Aerospace Group Vice President.